Notably, the invite from HMD Global came right in the midst of a flurry of leaks surrounding the Nokia 7.1 Plus. 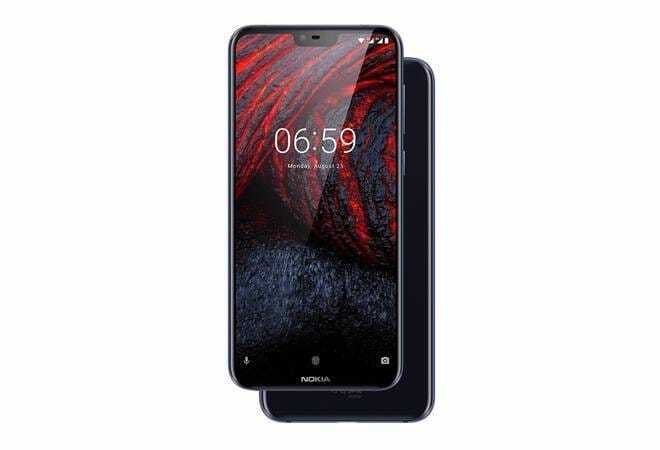 HMD Global unveiled the Nokia 6.1 Plus and Nokia 5.1 Plus only a month ago, and we are already looking at the launch of next Nokia smartphone. The Finnish company has sent out media invites for a launch event on October 4 where it will unveil 'the latest addition to the Nokia smartphone family'. According to several media reports, HMD Global will be hosting an informal event at Central London on October 4 where it will introduce the new Nokia smartphone. The exact location of the event has not been disclosed yet. Notably, the invite from HMD Global came right in the midst of a flurry of leaks surrounding the Nokia 7.1 Plus. Press renders recently shared by MySmartPrice show the Nokia 7.1 Plus with a display notch, which houses the front camera and earpiece. With a notch, the Nokia 7.1 Plus will have a screen with an aspect ratio of 19:9 and a FullHD+ resolution. Earlier leaks featuring the front panel of the Nokia 7.1 Plus showed no notch, though. The leaked images show the back with a vertically-placed dual camera setup featuring Carl Zeiss lenses and a LED flash underneath. The Nokia branding was shown in middle and Android One badge at the bottom of the device. The power button and the volume rocker have been placed on the right edge of the device. This design language is similar to what has been seen before in Nokia's previous X-series smartphones. While Nokia fans expect the Nokia 9 to make an appearance at the upcoming launch event, it seems to be a long shot. Recent reports suggest that HMD Global has decided to keep the device under covers till Mobile World Congress 2019 in February. Excitement around Nokia 9 stems from leaked images which showed the device with five rear cameras.